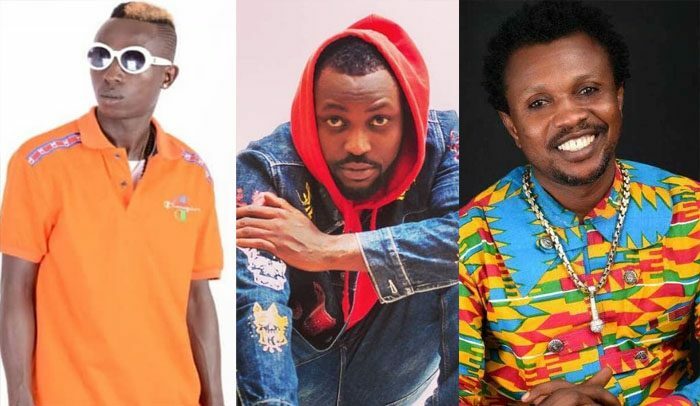 Yaa Pono, Patapaa and Kaakyire Kwame Appiah are heading to the United States of America on a tour. They will be performing on various stages in the USA from July to November as part of the anticipated tour. It is the first time all three artistes will share the same stage after their different career backgrounds. Music fans out there will definitely have an amazing time with the trio. Yaa Pono’s career spans over two decades, and he is currently one of Ghana’s rappers doing very well on the music scene. Real named Solomon Adu Antwi, he is known for songs like ‘Obio Wone Master’, ‘Street Boy’, among others. Justice Amoah, popularly known as Patapaa, broke into the music scene with his ‘One Corner’ song, and he has since maintained his dominance. He has shared stage with Ponobiom at a couple of shows but not with the veteran musician Kaakyire Kwame Appiah, who has over three decades of experience in the music industry. “It’s a whole new experience to be back on tour with some of the best young artistes doing very well on the music scene. I am happy to be part of this tour and the fans should expect to have some good time,” Kaakyire told NEWS-ONE on Tuesday.